Manganese is added to steel to improve hot working properties and increase strength toughness and hardenability. 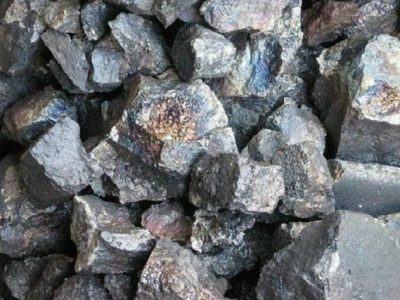 Manganese in excess of that required to combine with the sulphur forms manganese carbide and increase the hardness and chilling tendency. As sulphur is a more powerful hardener than manganese, the first effect of adding manganese often causes softening due to removal of sulphur hardness.